Ben Richards stars in a brand new musical from legendary composer and writer Burt Bacharach and Steven Sater. Some Lovers is the contemporary love story that follows a couple twenty years after their happily ever after. Playing a limited run at Andrew Lloyd Webber’s The Other Palace, the musical comes as part of Aria Entertainment’s From Page to Stage festival, which champions new writing and emerging talent. Inspired by The Gift of the Magi, a short story from American writer O. Henry, Some Lovers is catapulted into contemporary culture, following Ben and Molly’s close relationship. With four actors playing the pair, the musical takes place over twenty years, with time shifting between past and present. 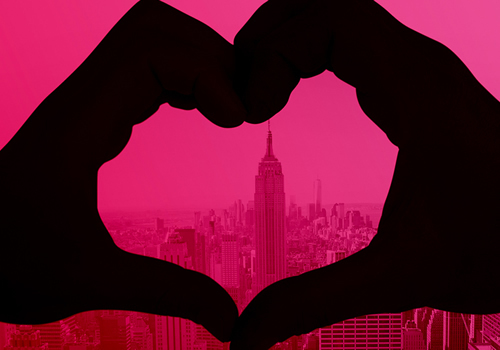 A valentine to New York, the show asks if a happily ever after can be just as sweet many years later. After starring in The Bodyguard, Ben Richards returns to musical theatre as Ben, with stage credits including Priscilla Queen of the Desert. Ben is also played by Aaron Kavanagh, who makes his professional stage debut, alongside actresses Gemma Wardle and Jenna Innes, who take on the role of Molly. Some Lovers is the new musical written by Tony and Grammy Award-winner Steven Sater, who penned the smash-hit Spring Awakening, and Academy and Grammy Award-winning pop legend Burt Bacharach. Directed by Katherine Hare, with musical direction from Jordan Li-Smith and arrangements by Jonathan Tunick, Some Lovers marks Bacharach’s first stage venture since 1968’s Promises, Promises. Some Lovers plays at The Other Palace for a limited 12 performances, from August 24th to September 2nd 2017. Some Lovers may not be suitable for children.